39 years of experience. One of college baseballs top umpires, Ken has umpired 1 Sun Belt and 19 SEC Tournaments. Ken has also umpired the AAAAA GHSA Championship, 12 Division I Regionals, 1 NCAA Super Regional, 3 Division II World Series and the 1999 NCAA Division 1 World Series. Ken is currently umpiring on the ACC and SEC umpire staffs. A graduate of both the Southern and International Umpires camps and a 1998 graduate of the Harry Wendelstedt Umpires School. 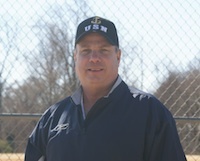 Kevin (KC) joined the camp staff in 2003 and umpires with the Southern Collegiate Umpires Association and the Multi-County Umpires Association (GHSA). Kevin has umpired numerous GHSA State Tournaments including two GHSA State Championships. A graduate of both the Southern and International Umpire camps. Greg umpires with the Southern Collegiate Umpires Association and the Multi-County Umpires Association. He has umpired numerous NAIA, NJCAA tournaments and numerous GHSA State Tournaments including the GHSA State Championship. Harold joined the camp staff in 1990 as a photographer and joined the camp audiovisual staff in 1999. After 4 years of service in the US Navy during the Korean War, Harold was appointed as a career firefighter in 1953. In 1965 he was appointed Superintendent of the Georgia Fire Academy and held that position until his retirement in 1992. He also umpired church, youth and summer baseball. Jack is a graduate of both the International and Southern Umpire camps. Jack joined the camp audiovisual staff in 1999. He has been a High School umpire since 1985, having umpired numerous state tournaments, including the 2-A and 5-A GHSA State Championship. He is a retired Lt. Colonel from the United States Marine Corps. 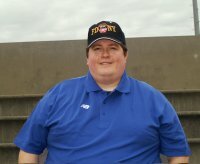 James is a graduate of the Southern Umpire camp. 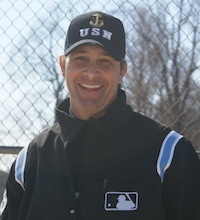 James joined the camp audiovisual staff in 1999 and has been a Georgia High School Association umpire since 1992. James has umpired numerous State Tournaments including the Class A GHSA State Championship.